 How It All Began? For the past 9 years, I have been working with WordPress and during all this time I have transitioned myself through different roles like from Content Strategist to Program Manager and to an aspiring Developer. But particularly for the last 2 years since I got married to the incredible Ahmad Awais — who’s a huge open-source developer advocate I have been handling the pre-development workflows for his projects. During all this time I encountered a pretty monotonous work routine which included configuring tools which rendered pug to html, sass to css and integrate live reload with BrowserSync. Moreover, I realized that at least 20% of my time would go into this process every time I got started with any new project. So, to stop me from reinventing the wheel daily and follow the DRY (Don’t Repeat Yourself) philosophy, I decided to build a site generator with just the right features I need. When I got started, I only wanted it to cater my web-dev workflow needs. As I went ahead developing it, I realized that it could serve the purpose of several other developers as well. ✅ Error handling and notify messages. Getting started with pudl is way too easy. In just 4 simple steps you can §set up a basic web architecture for your development projects. And the best thing is that you don’t have to repeatedly. Download gulpfile.js, package.json, .gitignore and config.js files inside the root folder of your project. 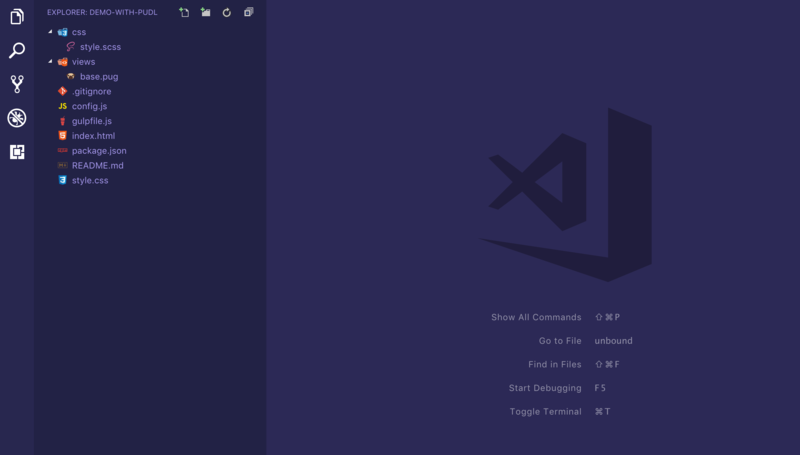 You can also use your terminal to browse your desired folder and run the following command which will download all the required files for you via cURL. The next step is to change the project variables in the config.js file according to your folder structure. The next step is that in your root folder install the Node dependencies. In the terminal run this command and wait for it to download all the node.js dependencies. It’s a one-time process and can take about 5 minutes depending on the speed of your internet connection. Finally, run the following command to get up and running with pudl. Let’s now run through the most important parts of the pudl project. Instead of several tiers, I preferred compiling all the key files into one single folder and that is the dist folder. 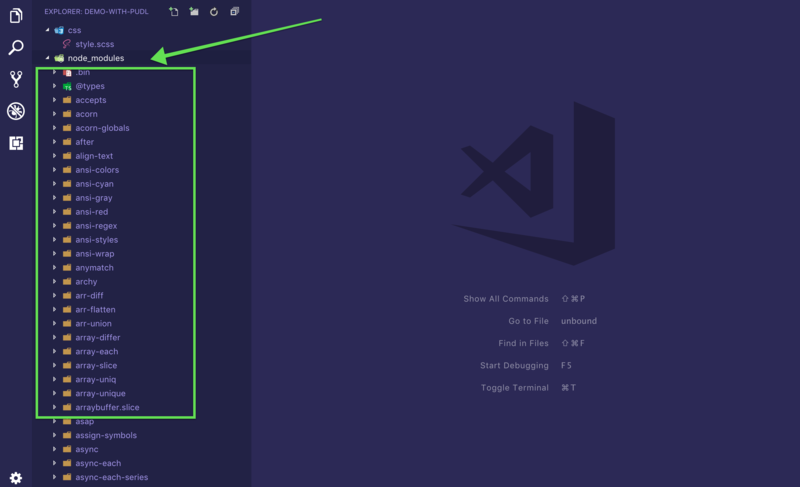 The overall folder architecture is pretty much simple and easy to comprehend since the two primary files which pique your interest is the gulpfile.js and config.js. The remaining files are the package.json and .gitignore. Let’s quickly study the contents of gulpfile.js and config.js. Configuration & Load Plugins: Handles project configuration for gulp tasks and load gulp plugins for it. Task view: Compiles Pug into HTML, Error Handling and Notifies for the success message. Task styles: Compiles Sass into CSS, Error Handling and Notifies for the success message. Task bsync: Injects changes and automatically open the browser with BrowserSync live server. Watch default Task: Watch for file changes and run specific tasks. The config.js has all the settings for project configuration. When you are integrating pudl in your development workflow editing of these project variables is a must thing to do because the folder architecture may vary from one project to another. However, I have tried to name these project variables in a way which are used quite consistently. Here is the complete source code of the config.js file. If you have been following this post thoroughly then by now I am sure you’ve understood the basic setup and working of pudl. So, before I end this piece let me show you how it works in a real-time environment. I created a simple testing project called demo-with-pudl in which I directly ran the curl command which I have mentioned in the getting started steps. Now I will install the node dependencies by running the npm install command in my terminal. This adds a new folder for node modules in the root folder. Now it’s the final part of the setup where you will run pudl to see how gulp handles all the described tasks for you. Simply type the command npm start and hit Enter in your terminal. You are notified by successful completion of views and styles which means both pug and sass are being rendered perfectly. Likewise, you are provided with a localhost link which live reloads for every change you make. That’s about it. 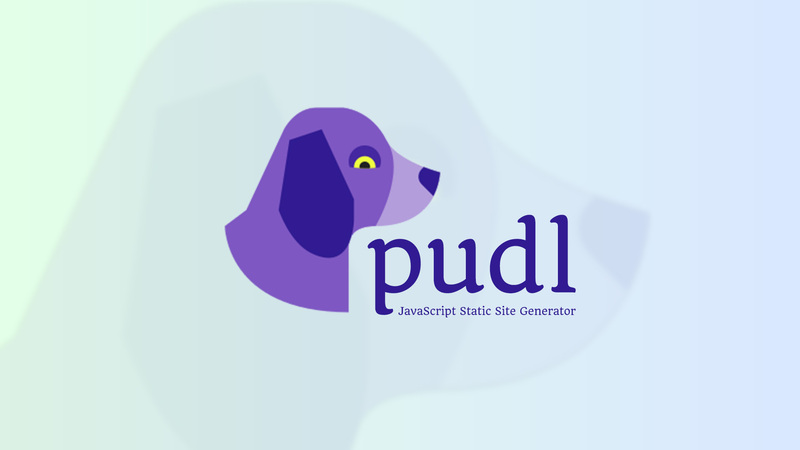 The idea of pudl basically originated from my personal dev-workflow needs but later it got refined and has helped me open source it to the community on an advanced level. Now I am handing it over to you and look forward to your comments. Let me know if I missed something or if you didn’t understand a step or two. pudl is now available on GitHub and is free to use. Also, it’ll be great to  its repository and share it across your network. package.json is spelt wrong. Gave me an error when I copied it and tried to install. Thanks for letting me know. I realized this mistake and corrected in the GitHub repo. Somehow it went uncorrected in the blog post.